The National Parks and Wildlife Service has issued the latest in a new series of All-Ireland Red Data Lists for fish, reptiles and amphibians. The list was compiled collaboratively by organisations both side of the border, and while the majority of species are categorised as Least Concern according to IUCN criteria, 40% of our native fish species (6 out of a total of 15) and one of our three amphibians (33%) have been classified as Threatened. According to Dr Cathal Gallagher of Inland Fisheries Ireland (IFI) the new Red List provides us with a “health check” for Irish Amphibians, Reptiles & Freshwater Fish. “For those of us who work closely with fish this document catalogues the status, distribution and threats facing both our native and non native fish species, it points to outstanding issues that need to be addressed and gives us a time frame for actions. This document provides scientist, managers and stakeholders with an analysis which can be used to support our fish populations for the next 10 years,” he said. The list was compiled by scientists from organisations across the island of Ireland, including IFI, the NPWS, the NIEA and the National Biodiversity Data Centre. It provides a full and objective assessment of Ireland’s amphibians, reptiles and freshwater fish, identifying species most in need of conservation and pinpointing major threats. 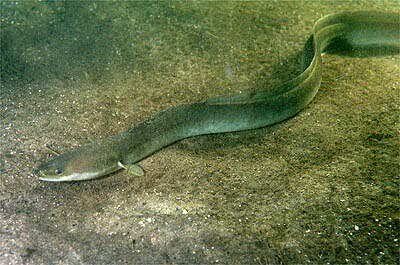 Of our 15 native fish species the European Eel was classified as Critically Endangered, and five other species (pollan, Arctic char, twaite shad, Killarney shad and Atlantic salmon) were classed as vulnerable. One other species (sea lamprey) was classed as Near-Threatened. Of the five amphibians and reptiles assessed, the natterjack toad was classed as Endangered. The Red Data List identifies a number of widespread threats such as water pollution, the spread of invasive species, over-fishing, unsympathetic river management and climate change. Barriers to upstream migration, such as weirs, were also highlighted as being of particular importance to the lampreys and shads. You can download the All Ireland series of IUCN Red Data Lists from the National Parks and Wildlife Service website.